Maggie Beer is launching a new soup range in Australia. The soups can be consumed alone or with extras including thick cream, mascarpone cheese or crème fraiche. All five product choices are available now from gourmet and independent supermarkets. The recommended retail price is AUD$8.49 for a 500ml pouch. 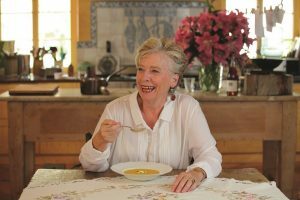 The Maggie Beer soup range is the latest Maggie Beer food to be released after the brand also expanded its ice cream offerings in September 2015.